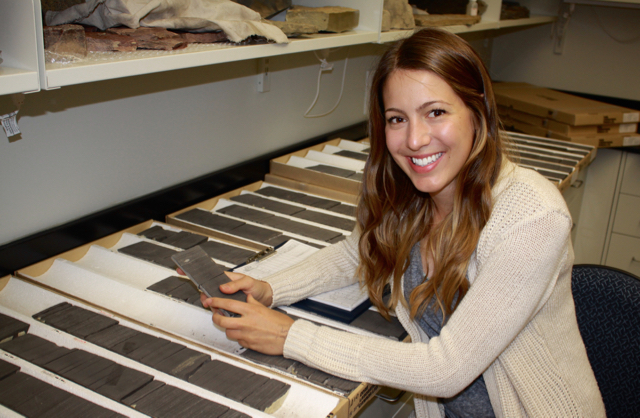 I graduated from the University of Alberta with a Bachelor of Science with Specialization in Geology in 2013. During my time as an undergraduate, I gained experience as a summer research assistant for the Ichnology Research Group. During that summer I spent time camping in Cadomin measuring outcrops of the Sulphur Mountain Formation. Fieldwork was expanded into an undergraduate thesis which focussed on characterizing a coquina called the Mackenzie Dolomite Lentil. The following summer I worked for an oil and gas company in Calgary, AB where I developed industry related skills while working on the Montney Formation in the Sturgeon Lake region. The project included extensive mapping to understand the area structurally and stratigraphically to determine remaining reserves in an old conventional reservoir. Additional interests include snowboarding, rollerblading, hiking and travelling. After graduating and before returning to school to pursue a Master's degree, I spent four months backpacking on the east coast of Australia and New Zealand. This project focuses on the unconventional gas potential of the Upper Montney Formation. To date, published research on the Montney Formation has mainly focused on the conventional reservoir intervals like the turbidite interval in west-central Alberta, and the shoreface clastic and bioclastic units. The unusual aspect of the Montney Formation is its grain size distribution. It is dominated by two grain-sizes: silt and very fine-grained sand regardless of depositional environments and it is very heterogeneous. The processes that control the reservoir characteristics in siltstone units are less known compared to that of tight sandstone successions. This research involves the development of predictive stratigraphic and sedimentologic models to identify sweet spots within siltstones of the Upper Montney. Core within this interval will be described in detail highlighting properties such as lithology, physical and biogenic sedimentary structures, and body fossils. A variety of techniques such as petrography, petrophysical analysis, SEM and geochemical analysis will be will used to help determine lithofacies. The identification of bioturbation is crucial for understanding biogenic permeability as well as determining depositional environments.